Take care ! According the local checking and registration office at least 60 % of all Wenzhou bars have alcoholic imported drinks which were FAKE ! Mind your head ! Cheers ! Xmas....and what to do ? On 24th December there are several party's in the big hotels incl. dinner, prize drawing and performance. Dynasty Hotel around 688 RMB :-(( and Wanhao (left side of the train station) around 300 RMB. You also can go to Jiangxin Island for 100 RMB the ticket incl. drink and dance performance. 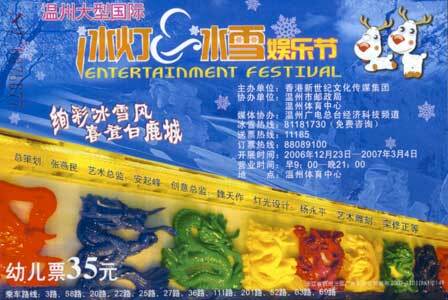 Or you can go to Wenzhou Chashan Entertainment Park, they have fake snow, 15 meter christmas tree and performances. Many small coffee bars have their own program. MyWenzhou.com wish you a merry christmas and happy holidays ! “Foreign employee “ please Fill the Applicatiom Form !